John Rigas also known as Alwoods, gives us something fresh, new, and inspired by the Greek mountainside. "Long Life Forest" is John’s second full-length album. Beautiful melodies accompany driving bass-lines as energies are lifted and sustained by John's signature 4/4 kick. Every song is a unique piece of art in itself, and the quality and craftsmanship reflect the time taken to produce the entire album. Originally scheduled over a year ago and released just now, this album shines with the extra time and effort invested to perfect it. Each sound hits your ears with thick bass lines that vibrate and resonate your ear drums and your entire being. A favorite off of the album that moved the down-tempo and chill-out dance floors this past summer is "We Are Modern Shamans". The combination of melodies with the shaman's vocals deep energetic bass makes the track irresistible, and makes it an infectious track to dance to. You can preview this track YouTube if you have any doubts about the quality of this album! Every song is diverse, but they all keep the familiar ‘Alwoods’ progressive-chill signature sound. Both his first album "Aeolian Mode" and "Long Life Forest" are tied for one of the best Altar Records albums so far. 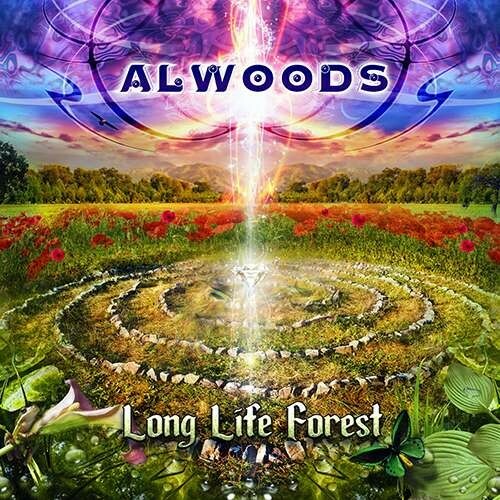 Be sure to ‘like’ Alwoods on Facebook to keep up to date with his new productions and his tour.. Enjoy!